Dealing with the loss of a beloved pet companion is never easy. Often, the rush of feelings and emotions are overwhelming. The caring staff at Tyler Veterinary Center understands these feelings and have experienced them first hand. We can identify with these emotions and our first priority is assisting you in making final arrangements for your pet. We take this responsibility with pride and will continue to treat them with the respect and dignity of our own pets. Our cremations are done onsite by the staff of Tyler Veterinary Center. We have a strict tracking procedure in place so you will feel comfortable knowing the cremains you receive back are those of your beloved companion. Depending on the weight of your pet, the type of cremation and urn chosen, Tyler Veterinary Center will see that your pet is taken care of and is memorialized just the way you would like. Should you find a particular urn for your pet, you may bring it to our clinic and we will be happy to change it for you. 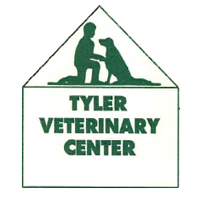 We provide pick up services at several area Tyler Veterinary hospitals. Please call for further details on specific locations. Any private cremation maybe picked up at our hospital anytime after completion. Often referred to as communal, the cremains are not returned. Only your pet is placed in the cremator. Price below includes owners choice of an urn or cremation box.